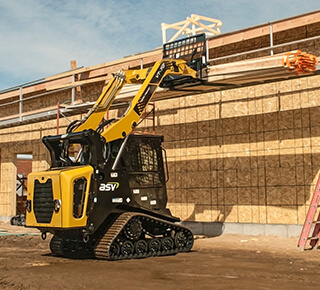 ASV Compact Posi-Track & Skid-Steer Loaders | ASV Holdings, Inc.
As the worldwide expert in designing and producing premium, hard-working machinery, ASV gives operators the advantage they need to get more work done at every jobsite. ASV Holdings, Inc. has built a legacy in the compact equipment industry. We pioneered the Posi-Track® compact track loader and now offer an entire machine lineup that’s engineered and built to deliver uncompromising performance. We design and manufacture premium compact track loaders and skid steers that are purpose-built to lead the industry in hydraulic performance, tractive effort, undercarriage technology, reliability, serviceability, and comfort on any terrain. 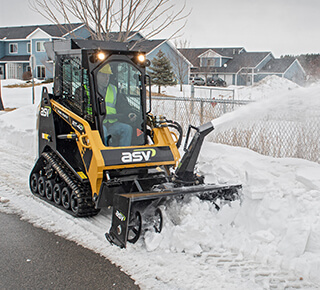 From small landscaping projects and residential construction jobs to acres of excavation, ASV’s all-terrain machines enable you to work in more places and in more conditions so you can get more done every day. 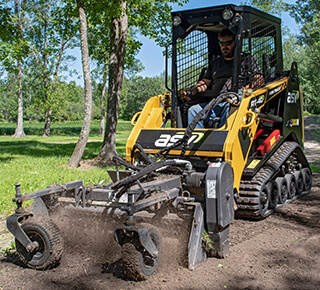 The new RT-65 compact track loader features maximum power, comfort, and serviceability to boost your productivity. 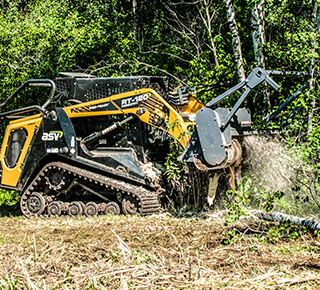 This machine offers ASV’s patented Posi-Track technology, best-in-class ground clearance, and unmatched performance for digging and ground engagement work. Now through 6/30/19, ASV is offering up to $3,000 USD Cash Back -OR- 0% Financing for up to 48 months, along with extended warranties.